Your food will flip for joy! Soft-touch handle offers comfortable, non-slip grip. Angled neck reaches over the edge of Weber kettles, keeping hands and arms away from heat. Wide front edge provides optimal support while you flip your favorite foods. Providing practical, fuel-free cooking solutions, Go Sun Stove gets you outdoors so you can live a more healthy and abundant life. Go Sun has designed a line of high efficiency solar ovens that quickly and reliably make food without fuel. Able to feed two people in just 20 minutes while remaining safe to touch. The standard Go Sun Sport package includes a Vacuum Tube Oven, two Parabolic Reflectors that hinge to protect the tube in transport, a Stainless Steel Cooking Tray with integrated Silicone Seal and Wooden Handle for getting food in and out, a Cleaning Scrubby, and a Carrying Handle that becomes the Integrated Stand. The Pro Pack's durable Carrying Case (made of abrasion resistant Nylon) and extra Cooking Tray are perfect for your next adventure outdoors. Includes 2-Year, No-Questions-Asked-Warranty. Try European style grilling with this Two-Piece Plancha Toolset, ideal for use with the Napoleon Cast Iron Plancha. 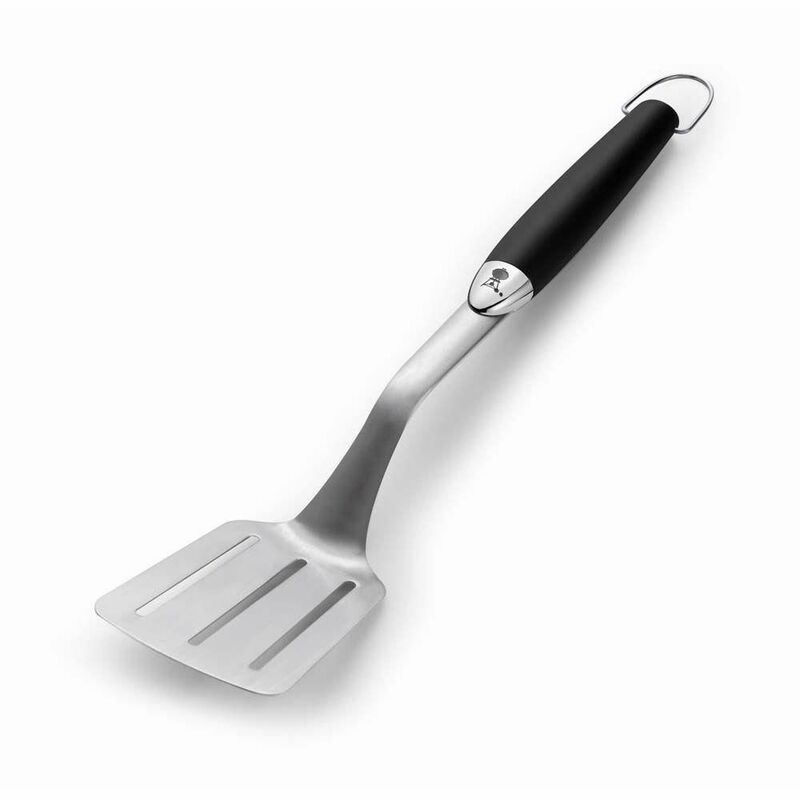 The oversized spatula easily handles all types of food while the scraper provides safe and easy cleanup. Durable stainless steel construction with ergonomic handles means years of comfortable use. Original BBQ Spatula Your food will flip for joy! Soft-touch handle offers comfortable, non-slip grip. Angled neck reaches over the edge of Weber kettles, keeping hands and arms away from heat. Wide front edge provides optimal support while you flip your favorite foods. Original BBQ Spatula is rated 3.7 out of 5 by 3. Rated 1 out of 5 by HomeDepotCustomer from Fell apart on the first use. ... Fell apart on the first use. Rated 5 out of 5 by Dee from We were in the market for grill tools, so when... We were in the market for grill tools, so when I saw that America's Test Kitchen gave this one it's highest rating, I picked it up. We've been grilling all summer and it's seen heavy rotation since we bought it, and we've loved it! Rated 5 out of 5 by HDSHOPPER from Excellent Spatula with right size This is an excellent Spatula with right size and good convenience. Perfect for barbecue grill outside. Being said that, you can use it for indoor too. Good companion for my barbecue grill.